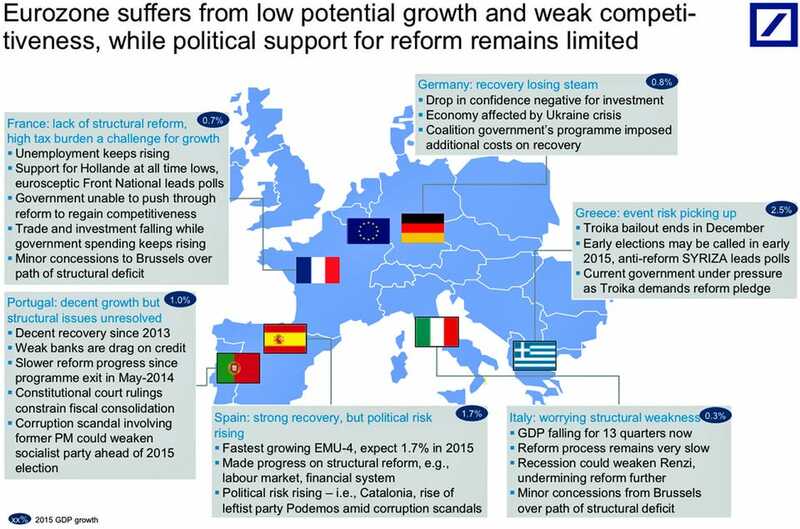 The European economy is suffering from a lack of growth and tumbling prices. It certainly doesn’t help that the euro zone currency union is made up of individual countries with their own unique problems and their own unique ideas for fixing the regions woes. 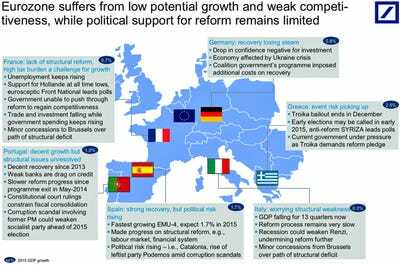 To help, Deutsche Bank offers this great annotated map that highlights the key issues in six notable euro zone economies.